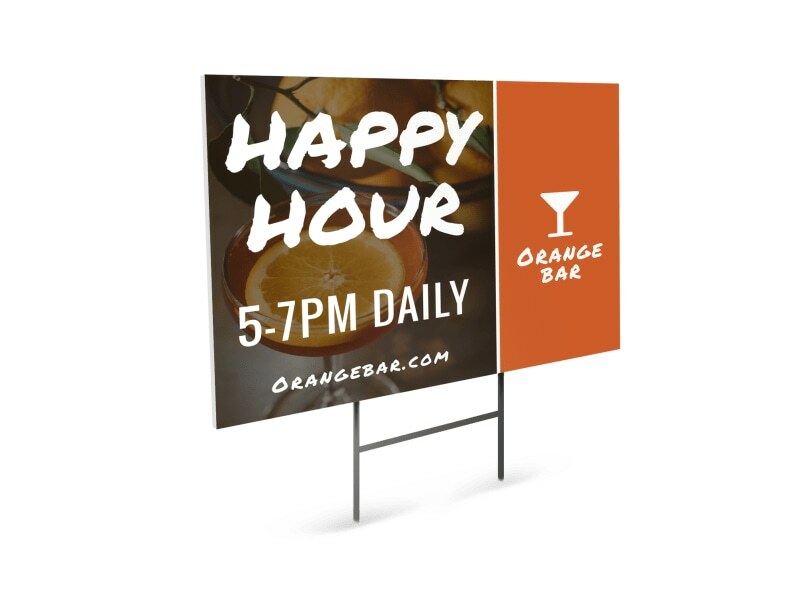 Customize our Happy Hour Bar Yard Sign Template and more! 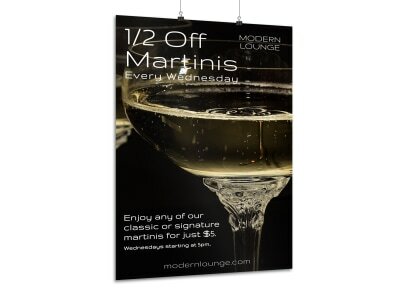 Call out to the locals with details on your business’ happy hour specials with this yard sign you make yourself. 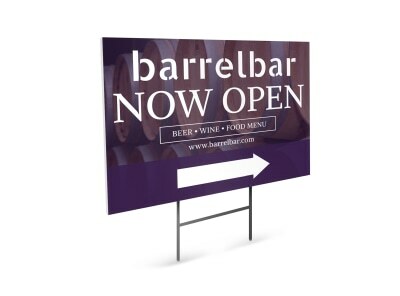 Personalize your bar’s yard sign with your business logo, company colors, a custom message or slogan, and more. 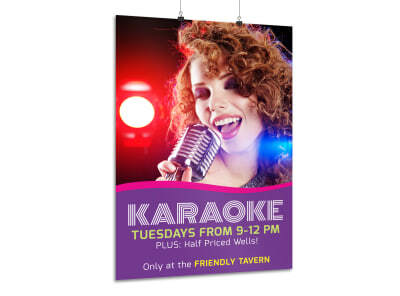 Start working on your eye-grabbing yard sign design now!